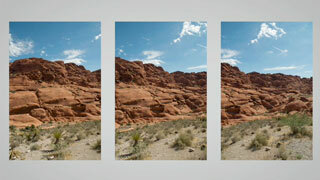 If you’ve seen a panoramic photograph, chances are you are hooked. Its been around almost as long as traditional photography but the tools to make panoramic images have never been more plentiful. First let’s define panoramic photography. Originally, it referred to images that had a minimum aspect ratio of 2:1 or larger. Now it’s less important that an image have a formal 2:1 ratio and more important that it merely has an elongated field of view. 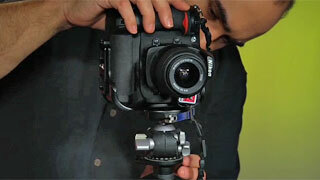 Let’s start by saying this primer is aimed only at Compact digital and DSLR shooters. 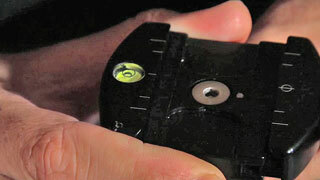 If you have a special panoramic film camera, chances are most of the information here is already known to you. What sort of gear do you need? Virtually any digital camera will do. There are some advantages to using simple point-and-shoot models which might already have a panoramic multi-shot mode built in, but prosumer and professional bodies give you more data to work with. The distinction between pro bodies and consumer bodies is less important when shooting panoramic images because you will have more native resolution than usual. This is because you will be stitching together more multiple images. If you’re using a DSLR you will need to select a lens. It depends on what you want to accomplish but for panoramic images, I like the flexibility of a zoom. My preferred panoramic kit is a Nikon D7000 with 28-300 mm lens. Any lens in that range will do for most occasions. Since you’ll be stitching together lots of images, it’s not as critical here to have the world’s fastest, sharpest lens. Although that’s always nice, a mid-priced, pro-sumer zoom is often perfect. You will want a sturdy (read that heavy or expensive) tripod if you’re serious about panoramic photography. Yes, you can hand hold your camera and stitch together a panoramic image, but if you really want to go big, with great quality and cover a large range, a tripod makes a world of difference. 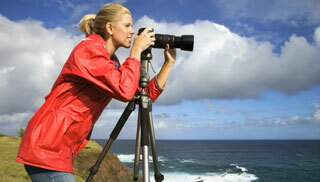 Not only do you need a sturdy tripod, it’s a best practice to get one that is easy to level. You can accomplish this in many ways, but one of the easiest ways is to get a leveling head. There are many types of tripod head available. Make sure you get one that at least has a bubble level. Great panoramas start with great photos. In order for the command to work properly, you should follow these guidelines when shooting. Choose a Location: Ideally you’ll find a location with a good view. A full 360˚ is not required, but the wider angle of view the better. 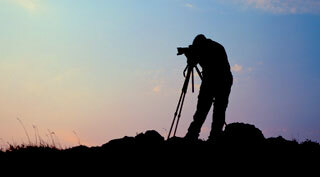 Set Up Your Tripod: Set your tripod and make sure the legs are spread wide enough for a stable base. You should then make sure that the tripod is level. Photoshop can handle a slight variance in angle, but more than a few degrees can mess up the Photomerge command. Go Manual: Your camera should be in manual mode. You want to minimize changes in exposure as you pan the camera. Be sure to keep your exposure constant throughout all shots of the panorama. Shoot in Portrait Mode: You may need to get a special bracket or tripod head to do this most easily, but its well worth it. Shooting in portrait mode minimizes horizontal distortion and gives your panorama the maximum image quality. Avoid Distortion from the Lens: You’ll want to avoid using fish-eye lenses or other types that excessively bend the image. If you do use a lens of this type, choose the Auto layout option to minimize distortion. Focus On Infinity: Be absolutely certain that you take the camera out of autofocus. You’ll want to manually focus at infinity so everything stays the same through each shot. Keep an Eye on Moving Objects: If you have people or other objects moving through the frame, be sure to avoid duplicating them in multiple exposures. If the scene is quite busy, you should shoot each angle a few times. Overlap: The Photomerge command prefers an overlap of 25–50%. While some overlap is good, too much can also be a problem. If Photoshop encounters more than 70% overlap, it ma have difficulty blending exposures. Focal Length: Do not change your focal length while shooting. If using a fixed lens, this is simple. However, you can still shoot with a zoom lens. Just be sure you don’t adjust the lens while shooting. After you capture your images, you’ll want to stitch them together in post using a program like Adobe Photoshop. Make sure you use a two-step process. The first is the actual stitching, the second is the cleanup and retouch on the entire finished image. Once you have finished, treat the panoramic image as you would any other. It’s an amazing thing to share and panoramics are fun to make. Good shooting.